URENIO and INTELSPACE offer research, consulting services, and technology solutions for the development and management of innovation systems and intelligent cities. Authorities wishing to adopt the smart city paradigm should follow a model that scales up the use of resources from research and learning to strategy elaboration per city ecosystem, and finally to development of applications and technology solutions. Areas of services provision cover all domains of cities: the innovation economy; quality of life in the city; infrastructure and utilities; and city governance. Intelligent city / smart city strategy and planning, including elaboration and consulting on the main strategy stages, such as background, SWOT or trends or futures analysis; vision development; setting of priorities and objectives; strategy design and intervention logic; action plan including best projects globally; flagship projects design; implementation, budget, and time schedule. Intelligent city monitoring and assessment, including the selection of outcome and result indicators; analytics for measurement and impact assessment; data collection and reporting; use of benchmarking and balanced scorecards. Intelligent city applications design and development in the domains of the innovation-led economy and its ecosystems; improving the quality of life in cities; optimization of utilities, transport, energy, water, and waste management solutions; governance, policy and decision-making, safety and security and other public services to citizens. 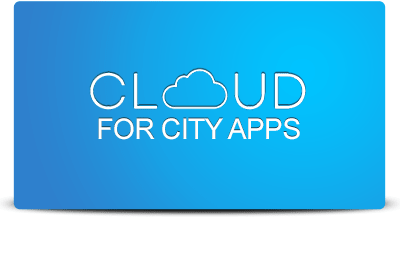 Intelligent city training; installing and using open source smart city applications available on the ICOS repository; training in the design of smart city ontologies and applications. Innovation systems analysis and innovation strategy, including innovation mapping, survey and analysis; measuring and benchmarking of innovation performance; innovation-led regional development; research and innovation strategies for smart specialisation (RIS3); assessment of innovation strategy outcomes and impact. Development of web-based applications for innovation, such as strategic intelligence platforms, which include data collection, processing, and analysis for market and technology watch; technology transfer platforms, which support networks for technology learning, brokering, collaboration between academia and businesses; collaborative innovation platforms, which enable user-driven innovation, distributed new product design and development, and living labs; e-Marketplaces, for web-based product marketing and promotion, assessment scoreboards and benchmarking; innovation funding and crowdfunding in particular.